Danny Lipford is America’s Home Improvement Expert. As host of the Emmy-nominated, nationally syndicated Today’s Homeowner TV and radio shows and the destination website TodaysHomeowner.com, Danny delivers fresh, practical and trusted advice for maintaining and improving homes. Danny’s interest in home improvement began at just 9 years old when he bought his first electric jigsaw from a mail-order catalog with his allowance. At 21, he started his remodeling business, Lipford Construction in Mobile, Ala., which soon became one of the most respected remodeling companies in the southeast and continues to operate successfully today. His television journey began 1988 when he was asked to host a small, live cable show in Mobile. The show, Remodeling Today, grew throughout the region until it was nationally syndicated in 1998 and became Today’s Homeowner with Danny Lipford. The Today’s Homeowner brand continued to expand adding the nationally syndicated Today’s Homeowner radio show; a full-service video production firm, 3 Echoes Productions; TodaysHomeowner.com; and the newest edition – décor and lifestyle blog, Checking In With Chelsea. Backed by his 40-year remodeling career, Danny served as the home improvement expert for CBS’s The Early Show and The Weather Channel for more than a decade. His extensive hands-on experience and understanding of the industry make him the go-to source for all things having to do with the home – from advice on simple repairs, to complete remodels, to helping homeowners prepare their homes for extreme weather and seasons. 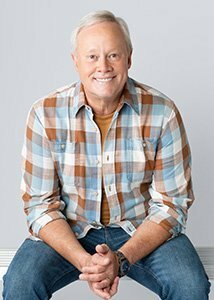 Danny has made more than 190 national television appearances, most recently on FOX & Friends and Fox Business Channel, has been a longtime contributor to Better Homes & Gardens, and is an expert source for hundreds of other popular magazines and websites each year. Danny has been married for 35 years to Sharon and has three beautiful daughters, Chelsea, Melanie and Emily, affectionately referred to as the ͞3 Echoes. Keep up with Danny’s latest projects and appearances by visiting aboutdannylipford.com. 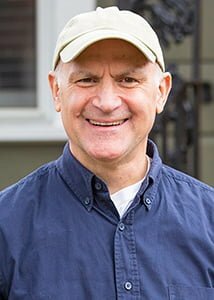 Joe Truini is a seasoned contractor, accomplished author and hosts Simple Solutions on Today’s Homeowner TV. He also hits the airwaves every week alongside Danny Lipford as co-host for Today’s Homeowner Radio. Joe is a handy guy, who’s always on the lookout for ways to make the job of home improvement easier and more efficient. Joe was born into the home improvement business as the son of a remodeling contractor. He began working alongside his father at the age of 12 and went on to make his living in the field after getting an education. As a union carpenter, Joe worked on large commercial projects, including the cancer research center at Yale-New Haven Hospital and the only PEZ factory in the U.S. He also spent time as a residential remodeling contractor, and four years as a custom cabinetmaker in Miami, FL. Joe has written for a number of national publications including This Old House, Popular Mechanics, Fine Homebuilding, Woman’s Day, and Today’s Homeowner magazines. He has also written eight books, including three best-selling shed-building books for Taunton Press. Joe continues today as a freelance writer for several magazines, books and websites. A native of Connecticut, Joe, his wife and two children live in rural Litchfield County. When spare time allows, Joe enjoys hiking, traveling, and baseball.